DAIMONOLOGIA: Did the Prophet Ezekiel See an Alien Spacecraft? The context indicates that Ezekiel was witnessing a vision of the glory of God (see verse 1). Later in the chapter we read that "this was the appearance of the likeness of the glory of the Lord" (verse 28). 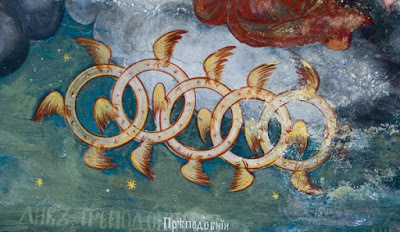 The "living creatures" mentioned in the passage were angels, since they had "wings" (verse 6) and flew in the midst of heaven (see Ezekiel 10). They compare to the angels mentioned in Isaiah 6:2 and especially the "living creatures" (angels) which are said to be around God's throne (Revelation 4:6). The "wheels" also are likewise an angelic order, not spacecraft, since they are intelligent creatures with faces. Finally, the message delivered was from the "Lord God" of Israel to the Prophet Ezekiel (Ezekiel 2:14), not one from some alleged UFO beings. The context was a message from the God of Israel through the Jewish prophet Ezekiel to His "rebellious nation" (2:34; see also 3:4). The interpretation that the Prophet Ezekiel saw alien spacecraft was popularized with Erich von Däniken in his best-selling book Chariots of the Gods?, published in 1968; this hypothesis had been put forward by Morris Jessup in 1956 and by Arthur W. Orton in 1961. Von Däniken is one of the main figures responsible for popularizing the "paleo-contact" and ancient astronauts hypotheses. The ideas put forth in his books are rejected by a majority of scientists and academics, who categorize his work as pseudohistory, pseudoarchaeology, and pseudoscience. Early in his career, he was convicted and served time for several counts of fraud or embezzlement, and even wrote one of his books in prison. Von Däniken's hypotheses became popularized in the U.S. after the NBC-TV documentary In Search Of Ancient Astronauts hosted by Rod Serling and the film Chariots of the Gods. Carl Sagan was among many of Erich von Däniken's critics, who said among other things: "The kindest thing I can say about von Däniken is that he ignores the science of archaeology. Every time he sees something he can't understand, he attributes it to extraterrestrial intelligence, and since he understands almost nothing, he sees evidence of extraterrestrial intelligence all over the planet." He also said: "I also hope for the continuing popularity of books like Chariots of the Gods? in high school and college logic courses, as object lessons in sloppy thinking. I know of no recent books so riddled in logical and factual errors as the work of von Däniken." After ufologists such as Erich von Däniken had pointed to the possibility of interpreting Ezekiel's vision as a report of an extraterrestrial spacecraft, Josef F. Blumrich, who was chief of NASA's systems layout branch of the program development office at the Marshall Space Flight Center, decided to disprove the hypothesis. However, a thorough examination convinced him that Ezekiel had, in fact, seen a spaceship. He then made detailed drawings of the alien craft. He decided the technology of the builders must have been somewhat higher than mankind's at the present, and added he had seldom felt as delighted, satisfied, and fascinated by being proven wrong. This is how his 1974 book The Spaceships of Ezekiel came about. 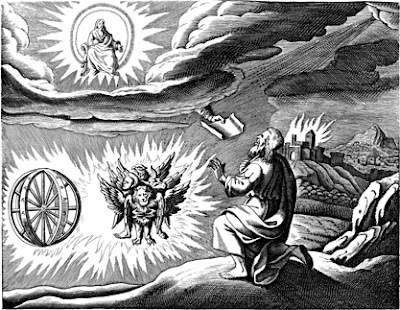 Blumrich has patented an "omnidirectional wheel" which he claims was based on the description in the Book of Ezekiel. 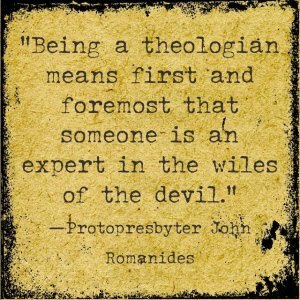 However, it has been shown that Blumrich based his theory on two mistranslations in a single German-language Bible. Blumrich says he had designed a landing strut with a straight leg and a round pad, so obviously Ezekiel was describing a similar landing strut. But neither the original Hebrew nor other translations say the feet were "round". It says the feet were like the foot of a calf. Also, the Hebrew says Ezekiel saw a "vision", not "vehicular structure". Ezekiel did not see a UFO! He was allowed the special privilege of being called by God through an amazing vision of the heavenly host. His description of the vision ties in perfectly with other apocalyptic writings such as Daniel and Revelation. Those who are looking for the long-absent evidence proving the existence of aliens and UFO's, will have to look some place other than Ezekiel for it.